Each person has at least once, found himself in a situation of not knowing how to say “NO”!! Sometimes the act of refusal jeopardizes friendships and relations among other individuals or institutions. Who Should Read “201 Ways to Say No Gracefully and Effectively”? And Why? This book is perfect for those who suffer from lower self-esteem and a constant feeling of guilt. 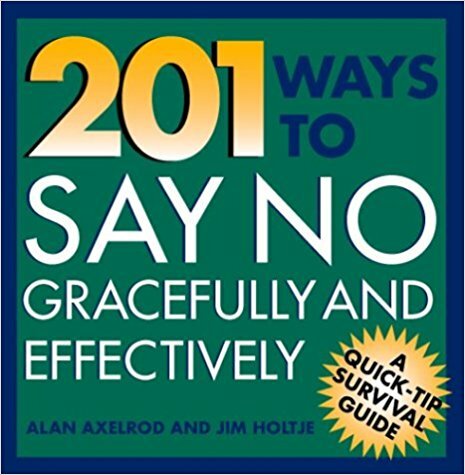 201 Ways to Say No Gracefully and Effectively, is a guide whose attention is targeted to those individuals who are ready to put an end to submitting and humiliating themselves. You must not tolerate being in the presence of people who don’t care about your well-being. This book will give you a clue on how to overcome these sensations and proceed forward as a winner. 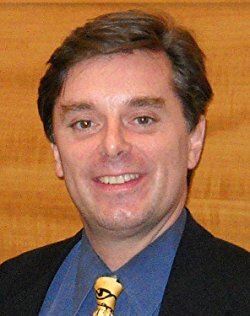 Alan Axelrod is an author of many books covering a variety of topics including history, business, management, self-help, etc. He was born on August 25th, 1962, in New York. By 1979, he obtained his doctorate from the University of Iowa. Alan wrote Patton on Leadership, Miracle at Belleau Wood, and others. Jim Holtje currently holds an executive role in International Client services as a Director. This book presents some guilt-free techniques which you can use in order to reduce any inconvenience caused by your honesty. Before you see what lies in store, let’s begin with a simple question – Why sometimes is necessary to turn down someone’s request? An answer can emerge from numerous perspectives all driven by concepts embedded into our subconscious. In either case, “saying no” is definitely not a bad deed, it’s not something you should condemn on a daily basis. “No” slowly unfolds your inner reality, it reflects your inner world. In fact, if you don’t feel like saying yes, what’s the point of saying it. In general, we are afraid of following the voice of reason, while conducting a series of actions that actually act against our interest. Surprisingly, people are now more prone to stand up for themselves then they used to. What caused this phenomenon to occur is a subject to many discussions, but the emphasis today falls on the lack of dignity, lower self-esteem and so on. Your dishonest “yes” hurts more than your sincere “No”! The point of view a person cherishes, it’s like e holy relic. Don’t neglect it due to inside or outside pressure. First, it’s better off if you start with a brief explanation of what this disapproval means. In other words, make them shift and adapt to your point of view. With this in mind, you can also be open for negotiation and compromise, but from a standpoint that also protects your interests, which is different than the previous situation. Once all parties are satisfied, a solution reveals itself, that acts on everyone’s behalf. 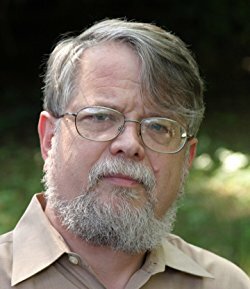 There is no good lie, so let’s begin eradicating the notion of fear. The perfect way to start with this procedure is to divide the “No” into three separate units. The first one serves as a reminder, or in other words to make sure that you’ve understood the request. Second, it’s the all-encompassing “No” – said politely. And the third reflects your appreciation to the institution or individual, who have picked you for the task. Last but not least, it’s all about to whom you are directing this “no”. Don’t address it to the individual, instead, make sure that the interlocutor understands that the “no” refers only to the request. Advocating for yourself is essential because pleasing-others is a self-destructive strategy. Your colleagues, associates, friends, family to get to know the new “No-Person” who stands firmly on the ground. Nobody can stop you from saying loud and clear “no” to extra work, nuisance activities, unreasonable deadlines, misleading ideas, etc. The book shares some valuable piece of advice, but often receives criticism on the shortage of ingenuity, and its superficial approach. This easily digestible content implies the importance of patience, rash decisions only harm your position. We warmly accept the ideas shared by Alan Axelrod and Jim Holtje and contributes to the whole process by advising you to start saying “no,” whenever an opportunity present itself. The process of becoming comfortable with saying “no” can sometimes last longer than expected. In the meantime, people continue following their main tendency of “Yes,” regardless of their efforts to finally overcome the sensation of guilt. The good news is, when you are on the verge succumbing to stress, take a deep breath and pause for a couple of minutes. The habitual “yes” response will gradually reduce and have a lesser impact on your decision-making. The brick wall built by a lot of “yeses” needs to be destroyed with integrity, and self-respect. For instance, turning down extra work is a challenging task for each employee, but there are a couple of ways you can use to convert the feeling of “shame” into a sense of dignity. Nowadays, there is a lot of inefficiencies, all deriving from the same source of “bad management”. Allocating tasks as a part of HRM can sometimes be painful for the employees due to various unreasonable demands that may occur. Don’t waste your time, and resist the temptation to follow these orders. Alan Axelrod and Jim Holtje abide by 201 ways to start your “no” process. Different types of people, produce unique and challenging situations, so every rejection has its place in the modern world.